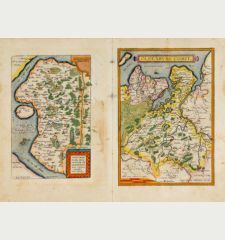 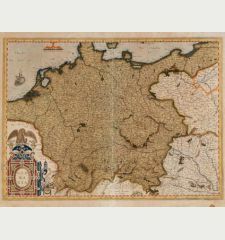 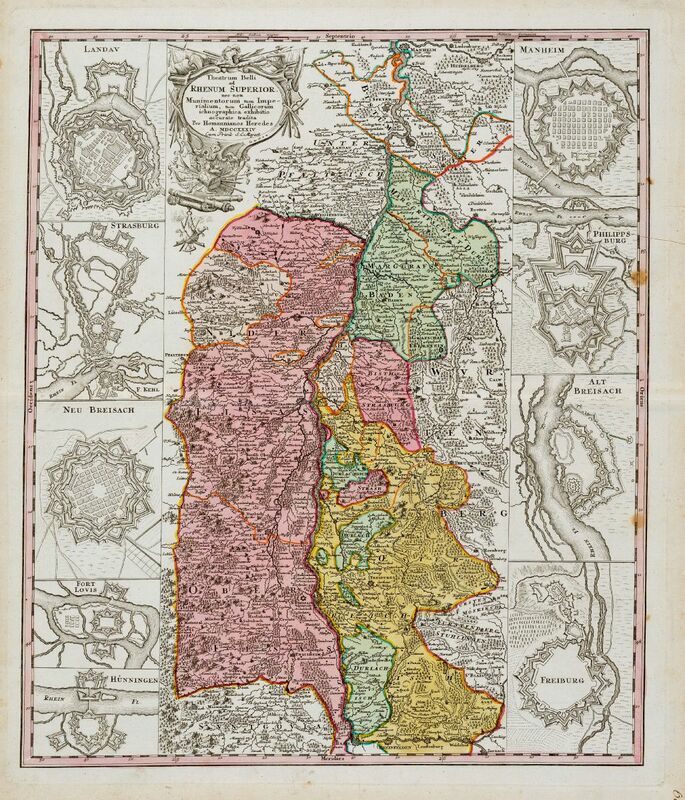 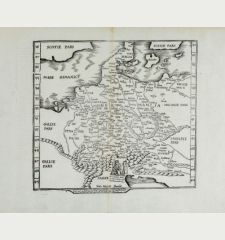 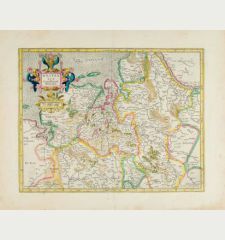 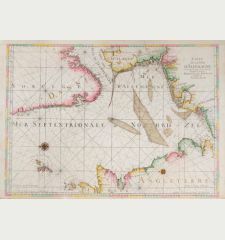 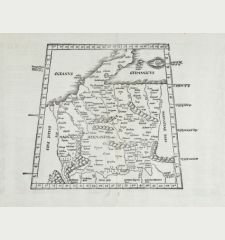 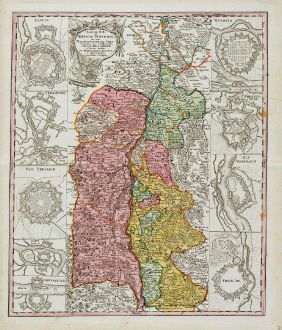 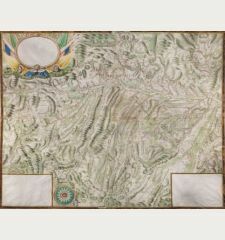 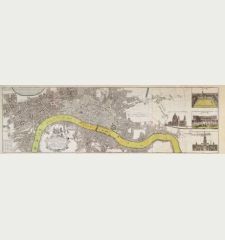 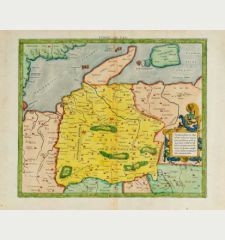 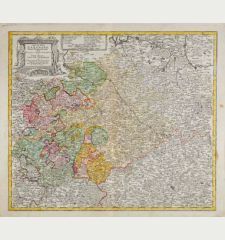 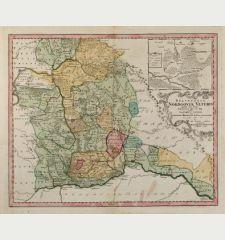 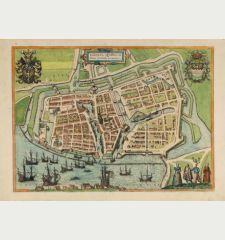 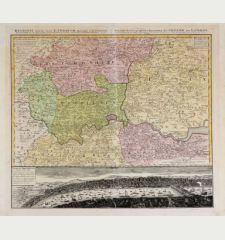 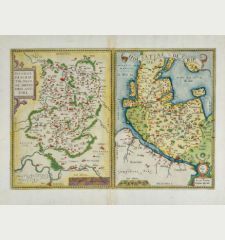 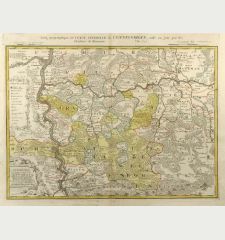 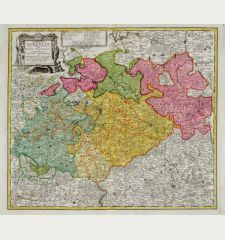 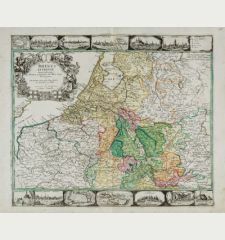 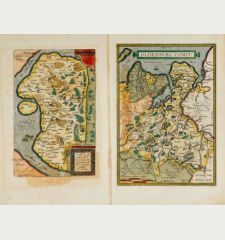 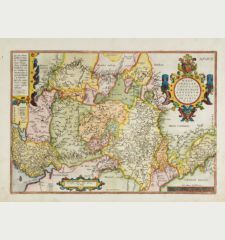 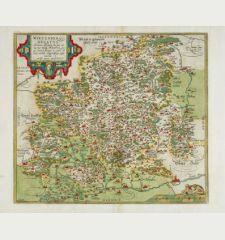 Old colored antique map of the Upper Rhine from Mannheim to Basel. 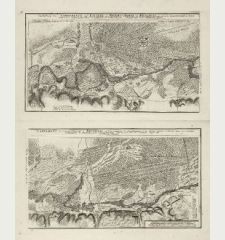 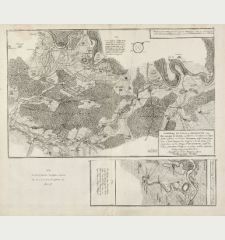 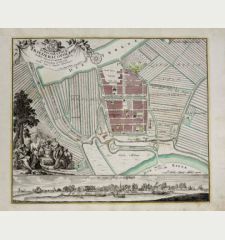 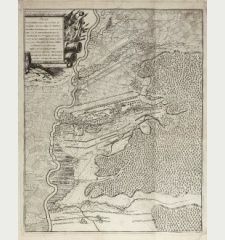 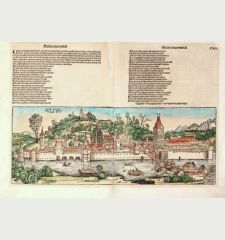 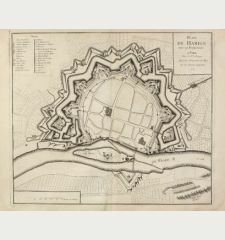 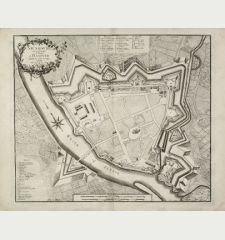 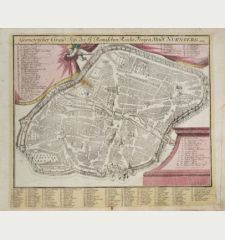 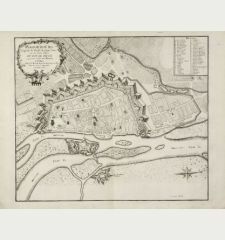 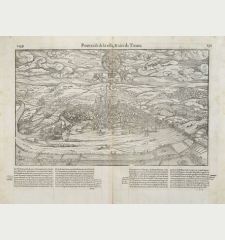 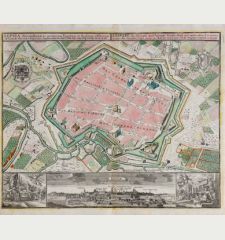 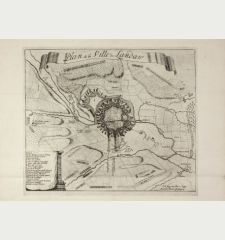 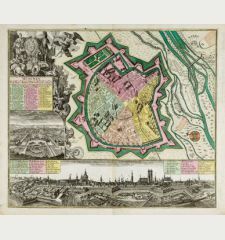 Surrounded by fortification plans of the cities of Mannheim, Philippsburg, Altbreisach, Freiburg, Landau, Strasbourg, Neubreisch, Fort Louis, Hüningen. 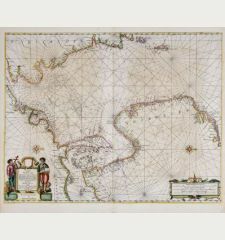 Top left a beautiful title cartouche.